Cognitive Services was used analyse the stream and the emotion APIs detected the happiness of the subjects in the video. 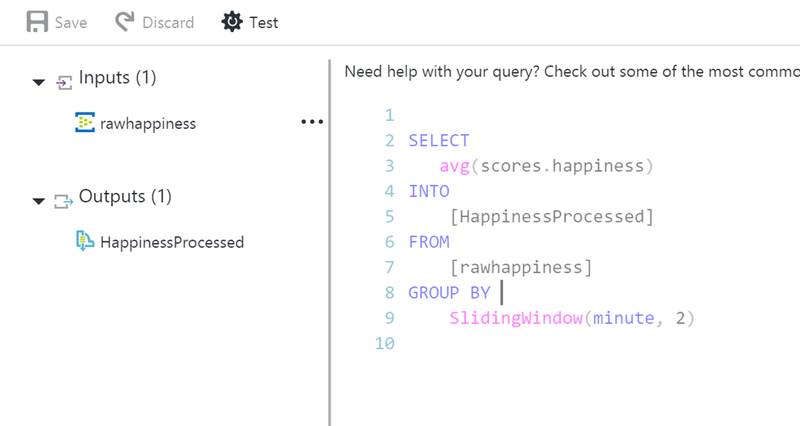 We wanted to group the happiness into a rolling type window every two minutes and streaming analytics provides us with the ability to do that. Streaming analytics allows several types of temporal operations that can be performed on streaming data. These are Tumbling, Hopping and Sliding windows and I’ll explain how each works and why we chose to use the sliding window. 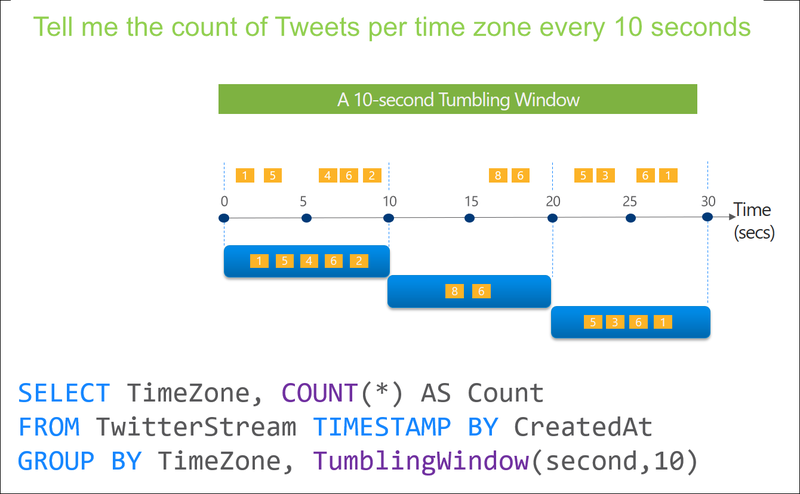 Tumbling window functions are used to segment a data stream into distinct time segments and perform a function against them, such as the example below. The key differentiators of a Tumbling window are that they repeat, do not overlap and an event cannot belong to more than one tumbling window. Hopping window functions hop forward in time by a fixed period. It may be easy to think of them as Tumbling windows that can overlap, so events can belong to more than one Hopping window result set. To make a Hopping window the same as a Tumbling window one would simply specify the hop size to be the same as the window size. 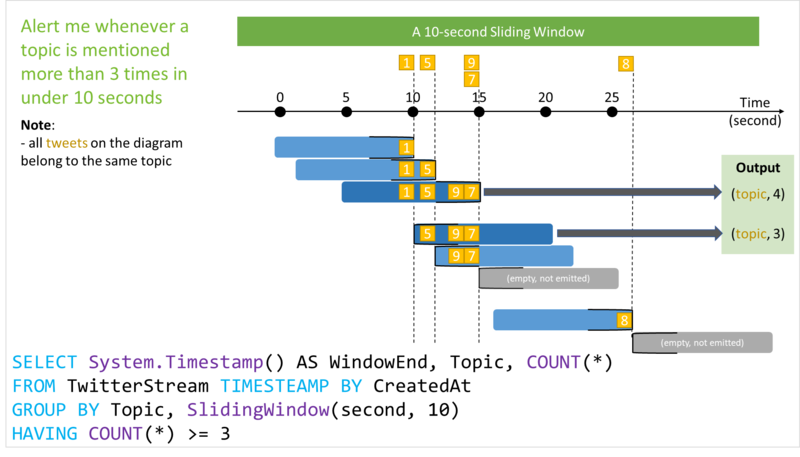 Sliding window functions, unlike Tumbling or Hopping windows, produce an output only when an event occurs. Every window will have at least one event and the window continuously moves forward by an € (epsilon). Like Hopping Windows, events can belong to more than one Sliding Window. The output was pushed onto a Service Bus queue and this is where things got a little interesting. Luckily I found this great TechNet article with some details on how to clean up the incoming data so I could insert it in database. 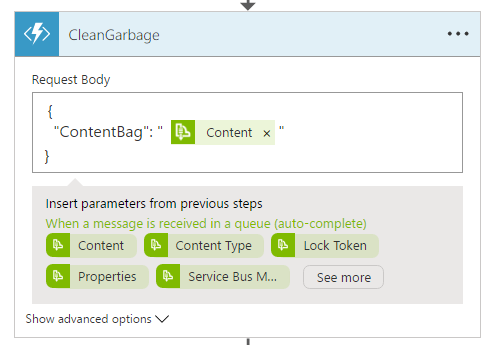 With the help of this article I created the Azure Function below to clean up the message content so we could use it effectively in the subsequent steps. Note that we had to wrap the content in another JSON element as the Azure Function expects valid JSON to be passed to it. 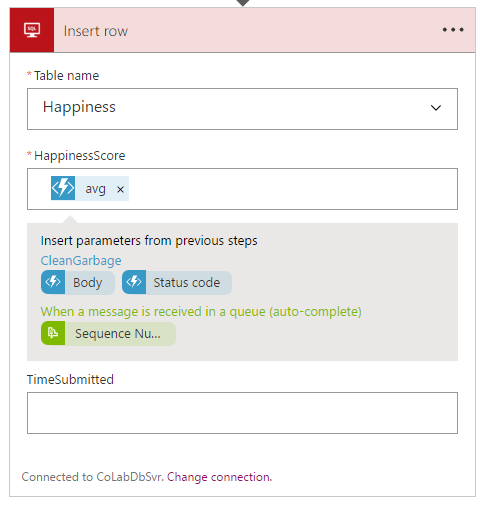 We could then finally insert the data into the table in our Azure SQL database. 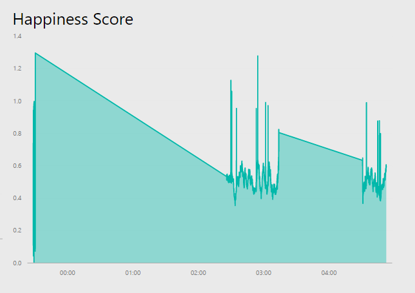 With the data in the database we could then spin up our Power BI Embedded dashboard and view the Happiness trend over time.